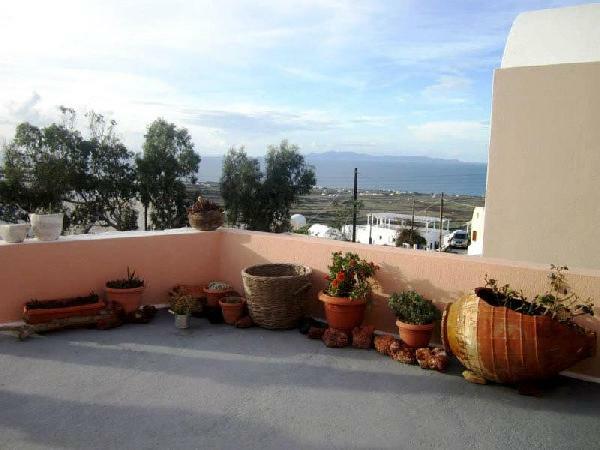 Located 1 km from the centre of Oia in Foinikia Village, Alonistra Oia Houses enjoys panoramic sunset and Aegean Sea views. Built in Cycladic style, it features a garden and a sun terrace. Free WiFi is available throughout. Opening to a balcony, every self-catering holiday house comes with air conditioning, and a kitchenette including a mini oven, fridge and dining table. They also have a bathroom with a shower and a hairdryer. Continental breakfast is daily served at the property’s premises, while a welcome drink is offered upon request. The 12-kilometre long path that leads from Fira to Oia, offering Caldera views, is next to Alonistra Houses. The port of Santorini is 18 km from the property, and island’s airport is within a distance of 14 km. A bus stop is right next to the property. Free private parking is possible on site. Είστε ιδιοκτήτης ή διευθυντής στο ALONISTRA OIA HOUSES; Εγγραφείτε τώρα για δωρεάν εργαλεία, που μπορείτε να χρησιμοποιήσετε για να βελτιώσετε την καταχώρησή σας και να συνδέσετε την ιστοσελίδα σας και το σύστημα κρατήσεών σας.